At LCSWMA, we view waste with an innovative lens, which allows us to discover and apply ways to maximize waste as a resource. The integration of the Perdue Soybean Processing Plant and Metals Recovery Facility (MRF) offer a few notable examples of this innovative perspective we work to advance. A grain elevator to receive, dry, and store soybeans grown and harvested throughout the region. The processing plant to process roughly 17.5 million bushels of soybeans per year and produce soybean meal, soybean hulls and soybean oil. LCSWMA provides 15-20% of the steam from the Lancaster WTE Facility (up to 57,000 pounds/hour), which reduces the environmental footprint of the Perdue Soybean Processing Facility and lowers its emissions by avoiding the need to use fossil fuels. Using steam from the Lancaster WTE Facility, instead of creating steam from natural gas or fossil fuels, avoids 20,000-30,000 metric tons of CO2 annually for this project. 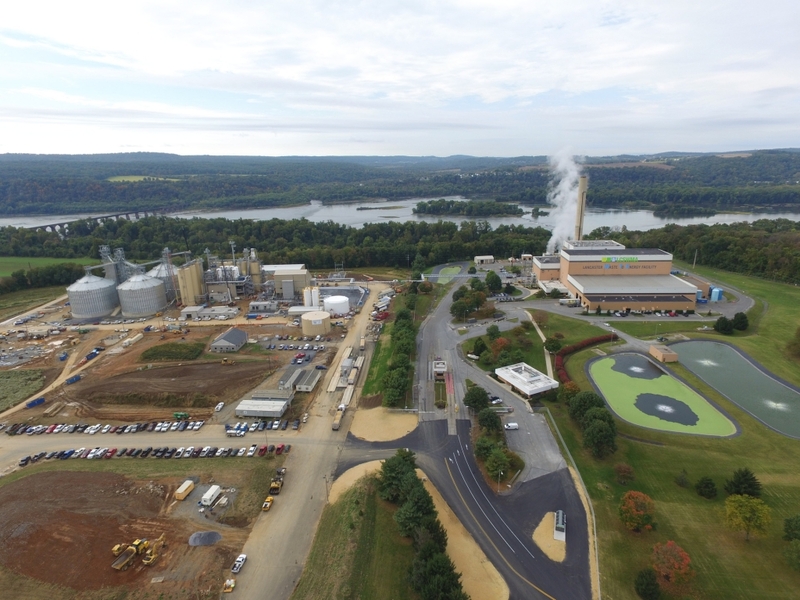 LCSWMA also provides process water (up to 130,000 gallons/day or 47 million gallons/annually) from the Lancaster WTE Facility, eliminating the need to use water from the Susquehanna River for the Perdue Soybean Processing Facility. The process water is returned to the Lancaster WTE Facility, where it is treated and recycled yet again in a closed-loop, zero discharge system. 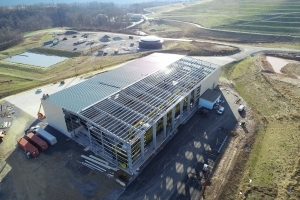 The Lancaster WTE Facility and Susquehanna Resource Management Complex (SRMC) burn municipal solid waste, producing enough renewable energy to power the equivalent of 45,000 area homes and businesses. After combustion, the remaining ash from both power plants is transported to LCSWMA’s Frey Farm Landfill and used as daily cover. In April 2016, LCSWMA entered into a long-term contract with Inashco North America, Inc. to site a metals recovery facility (MRF) next to the Frey Farm Landfill. While LCSWMA’s WTE facilities currently use in-line metal recovery systems, only larger metals are removed. Inashco offers an advanced metals recovery system to remove pebble-sized metals present in the ash. This includes both ferrous (iron) and non-ferrous (aluminum, copper, brass, zinc, gold, silver, etc.) metals. In 2018, Inashco constructed the MRF, which processes around 650 tons of ash each day (165,000 annually) and recovers about 22 tons of metals (8,300 tons annually). Not only does this innovative project remove and recycle metals that would have otherwise been landfilled, but it’s helping to extend the life of the Frey Farm Landfill.